Total or partial failure of bridges or collapse is often wrongly attributed to poor or improper design alone. 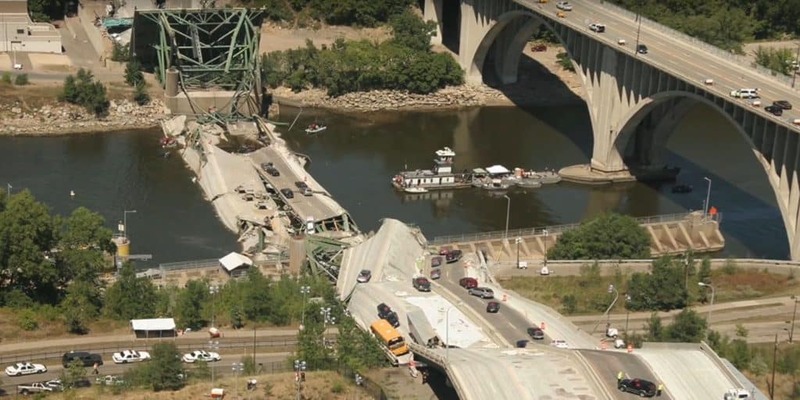 This article attempts to elaborate the root causes of collapse of road, vehicular and rail bridges irrespective of structural type. 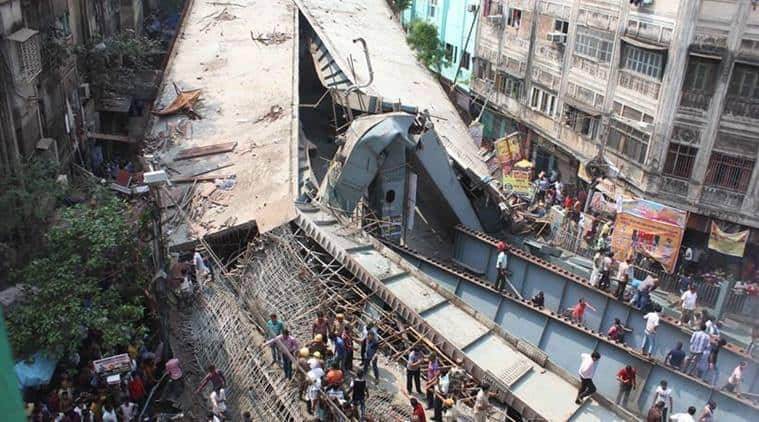 Said that flaws in construction of bridge is one of the important reasons of failure. 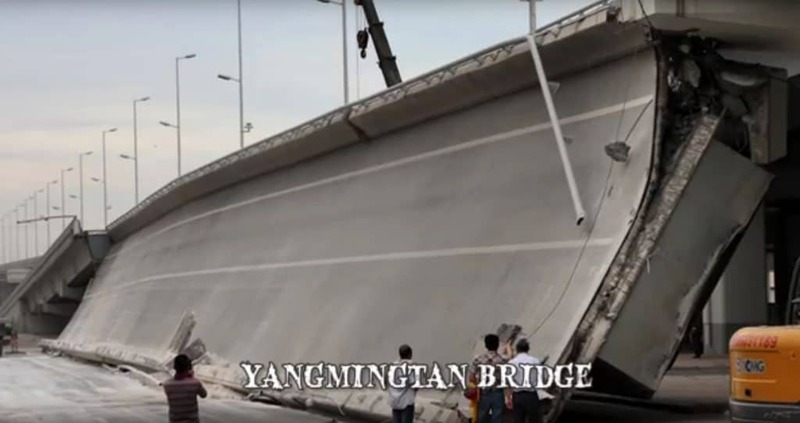 Collapse of bridges can have huge social and economic impacts depending on the use of bridge. 7 key reasons for failure of bridge structures are listed below. 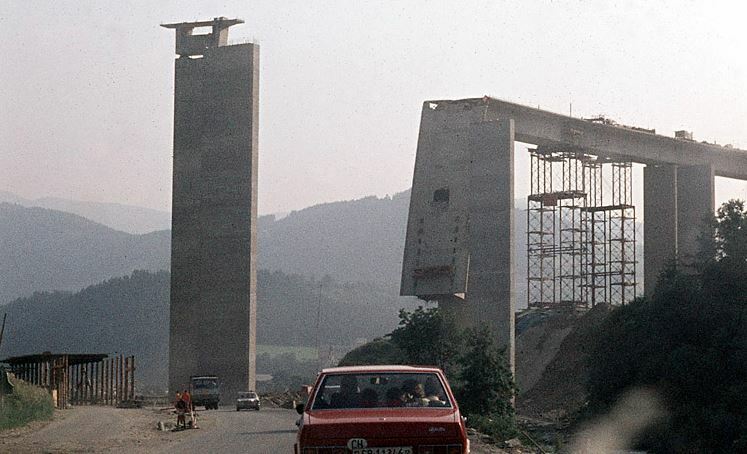 Construction or erection of a bridge structure is as crucial as design of bridge. Lack of expertise and experience of site engineers can be most common reasons apart from instability issues during construction. In steel bridges, buckling is most common cause of collapse during erection if the actual lateral supports are weaker or doesn’t reflect the one assumed in the design. Insufficient bearing capacity of soil due to improper ground treatment can be a reason. Another important cause of failure during construction is the failure of material, due to manufacturing defects or over-stressing beyond limits. Improper erection causing tilts foundation if not addressed leads to collapse. Irresponsibility, ignorance and indifference are primary caused of failure of bridges during construction. Construction defect joints of members in gusset plate. 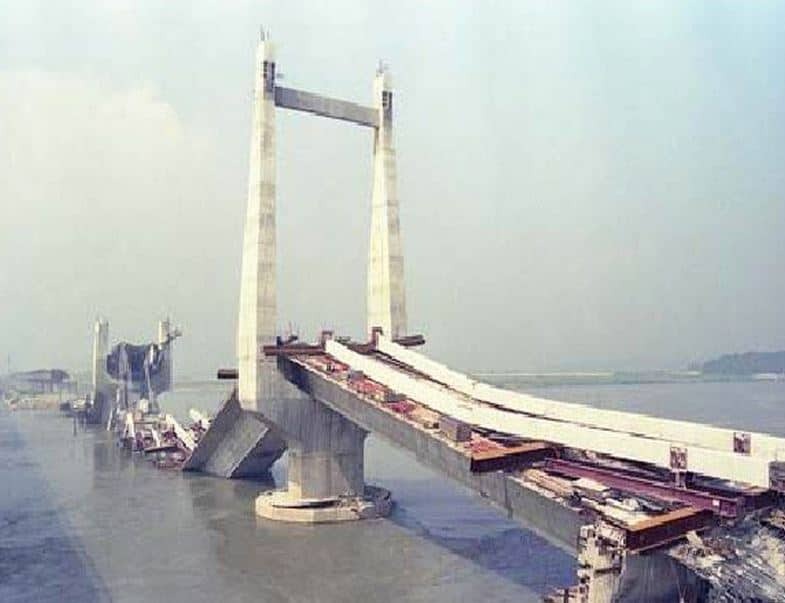 Failure of support during cantilever construction. Construction defect noticed but not remedied. Joint eccentricities & welding deformations. Failure of bearing cross girder due to under-dimensioning. Insufficient safety margin during erection and false assessment of load bearing capacity. Safe construction of a bridge requires proper coordination, delegation and exchange of information. Many failures are caused just due to improper erection process. Designers should work closely work with detailing engineer and contractors to ensure proper detailing and preparation of working drawings. It is the responsibility of the engineer to specify critical design assumptions in the drawings which can impact integrity of structure. Simple designs can avoid mistakes that arise due to lack of expertise, wherever possible, simple designs are advisable. Design and working drawings should be absolutely unambiguous, complete & comprehensible for the laymen and engineers involved in the actual construction. Complex load bearing structures require great quality of staff employed in fabrication and construction, else there is an inherent risk in execution. This is were construction management comes into picture.Proactive actions by the workers is very important for safe execution of work, hence the staff has to be trained properly to raise alarm wherever required and to understand the implication of errors.